Peer-reviewed Alabama Rot research by Anderson Moores, March 2015. 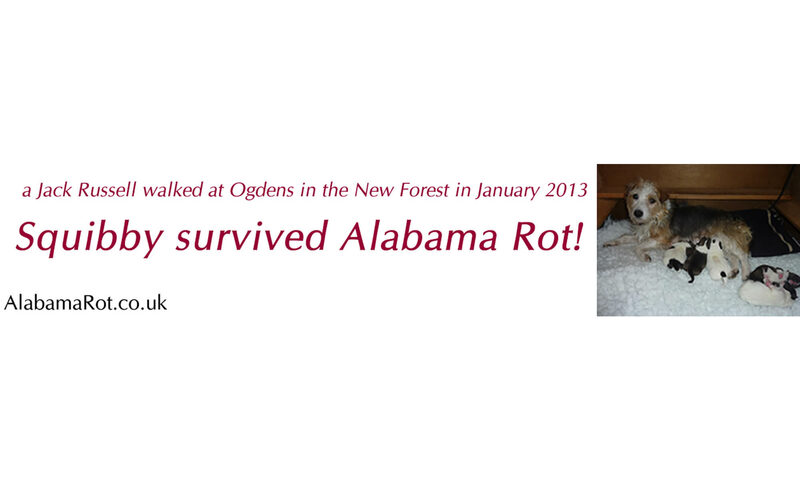 Alabama Rot is also known as CRGV (Cutaneous and renal glomerular vasculopathy). CRGV is characterised by blood clots in small blood vessels aka TMA. The cause (aetiology) of CRGV is unknown. So what causes CRGV in dogs? Unfortunately the cause is unknown at the moment, but their is one strong candidate – aHUS (atypical Hemolytic Uremic Syndrome). CRGV causes dogs to have skin lesions and acute kidney injury. When dogs get CRGV they die in 8 out 10 cases. Download David Walker and others March 2015 paper in the Veterinary Record (VR): The Press Release, a one page summary and the free open-access 13 page complete pdf, published online on March 23, 2015. (1) Also listen to the VR David Walker 14 minute Podcast in March 2015. Veterinary Times reviews the paper. This includes March 2015 comments by David Walker. Cutaneous and renal glomerular vasculopathy (CRGV) is a disease of unknown causation [aetiology] which forms ulcers or lesions in dogs legs [distal extremities] and a loss of kidney function within 7 days [Acute Kidney Injury] (AKI). Before November 2012, CRGV was only reported in greyhounds in the USA, a Great Dane in Germany and a greyhound in the UK. With CRGV, blood clots form in small blood vessels [Thrombotic Microangiopathy] (TMA) because of inflammation and damage to cells that line the inside of blood vessels [vascular endothelium]. TMA leads to blood clots in small blood vessels [microthrombi] resulting in fewer platelets [Thrombocytopenia], destruction of red blood cells [microangiopathic haemolytic anaemia] and failure of the kidney and other organs [multiorgan dysfunction]. CRGV is the only canine disease that causes inflammation and destruction of kidney and skin blood vessels [vasculopathy]. AKI can result from many types of renal injuries. Skin lesions are not normally found with AKI in dogs, unless AKI has resulted from immune disorders [immune-mediated disease], tumours [neoplasms], infectious diseases or vasculopathy (disease affecting blood vessels). between November 2012 and March 2014, in which CRGV was suspected and TMA was identified. “A recombinant, anti-C5 antibody (eculizumab) is the treatment of choice for human aHUS (Kavanagh and others 2013, Salvadori and Bertoni 2013) but the cost has prohibited its evaluation in dogs. I’ve discussed Eculizumab and plasma exchange / plasmapheresis to treat CRGV. Is the clustering of CRGV around the New Forest (and possibly Guildford and Manchester) real or apparent? I discuss this here. Management of human TMA’s is dependent upon the underlying cause. Plasma therapy, antibiotic administration, monoclonal shiga toxin antibodies and renal transplantation have all been used in STEC-HUS. A recombinant, anti-C5 antibody (eculizumab) is the treatment of choice for human aHUS (Kavanagh and others 2013, Salvadori and Bertoni 2013) but the cost has prohibited its evaluation in dogs. Plasma exchange remains the treatment of choice for human TTP (Blombery and Scully 2014) and is a useful therapy for aHUS (Kavanagh and others 2013). Monoclonal antibody therapy to CD20 and classical immunosuppressive drug therapy have also been reported for management of human TTP (Blombery and Scully 2014). One dog with CRGV was reportedly ineffectively managed with immunosuppressive therapy (Rotermund and others 2002). The efficacy of plasma therapy and monoclonal antibody therapy has yet to be evaluated in CRGV. 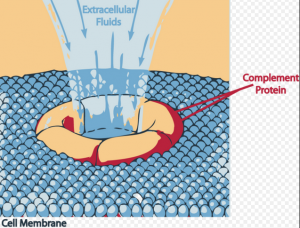 Membrane Attack Complex (MAC) formation is prevented by Eculizumab which inhibits Complement C5 cleavage. 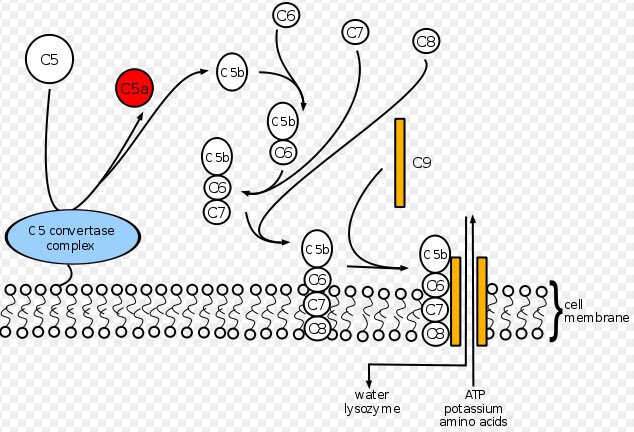 Eculizumab inhibits Complement C5 cleavage by binding to C5 so that C5 Convertase enzyme, cannot produce C5 and C5b proteins. 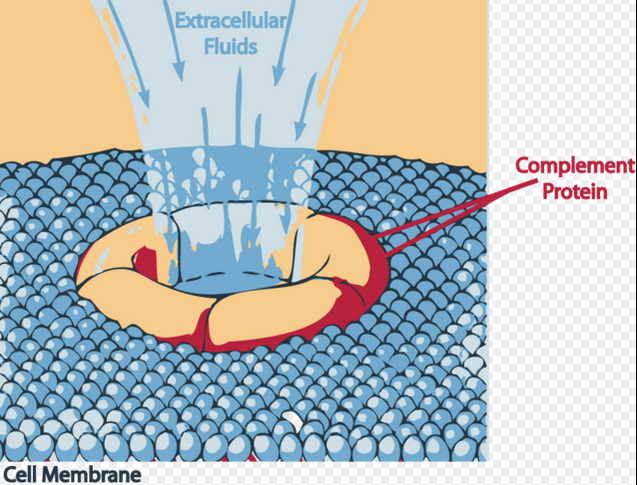 These proteins are required to produce Complement Membrane Attack Complex (MAC), which destroys epithelium of kidney glomerular and causes skin lesions. Could Alexion Pharma UK, the manufacturers of Eculizumab, sponsor trials in dogs with CRGV? I have discussed Eculizumab here. Neither Shiga toxin (from Shigella dysenteriae) nor Escherichia coli genes encoding for shiga toxin, were identified. Acute leptospirosis is unlikely says the paper. CRGV could be caused by an infectious or environmental trigger, given the number of in-contact dogs that developed skin lesions with or without AKI. All of the affected in-contact dogs were related either to each other and/or to a confirmed case. viruses were not found in kidney tissue but that does not exclude a viral cause. is CRGV a novel canine disease or a variant of HUS, aHUS or another human TMA eg thrombotic thrombocytopaenic purpura (TTP)? evaluation of canine complement system may find the cause. A recombinant, anti-C5 antibody (eculizumab) is the treatment for human aHUS [approved in 2015 by NICE]. Continued evaluation will give understanding of the disease and identify possible triggers, and determine the most appropriate management. Is this an emerging disease or, one that was previously present but unrecognised? CRGV is a TMA of unknown aetiology. If dogs with skin lesions have abnormally high Nitrogen levels (urea or creatinine) in the blood [azotaemia] this means that the dogs’ kidneys have failed and they will likely die. Vasculopathy affects the small vessels of the skin and kidneys in dogs and is unique to CRGV. Continued research will hopefully help to identify possible CRGV triggers and best management of dogs. Note: no new cases of CRGV between June 2013 and October 2013 inclusive. As per the AlabamaRot.co.uk map this pattern was repeated in June 2014 to October 2014 (except for one case in June 2014 in Lancashire and one case in September 2014 in Leeds). The paper reported that known causes of AKI were excluded. Further summary … to follow. (1) Holm, L.P., Hawkins, I., Robin, C., Newton, R.J., Jepson, R., Stanzani, G., McMahon, L.A., Pesavento, P., Carr, T., Cogan, T., Couto, C.G., Cianciolo, R. and Walker, D.J. (2015) ‘Cutaneous and renal glomerular vasculopathy as a cause of acute kidney injury in dogs in the UK’, Veterinary Record, vol. accepted January 21st 2015, no. available free online 23rd March 2015, pp. 1-12. (2) SALVADORI, M. & BERTONI, E. (2013) ‘Update on hemolytic uremic syndrome: diagnostic and therapeutic recommendations.’, World Journal of Nephrology, vol. 2, pp. 56-76. Are there any findings of a hyper, or inappropriate immune response in post mortem or testing of living dogs…maybe to pathogens such as E.Coli, which would normally be immune regulated? 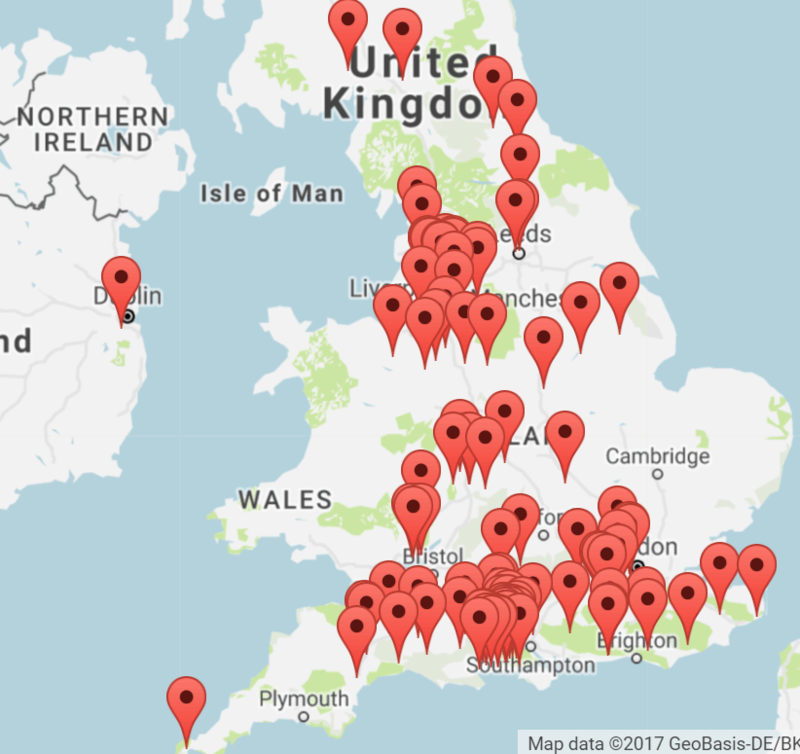 Next PostNext Dogs die of confirmed Alabama Rot in Cheshire, Nottinghamshire and Hampshire.